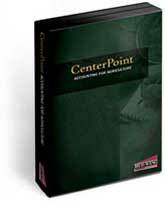 How Does CenterPoint Accounting for Agriculture Compare with Basic Accounting Programs? Thousands of Red Wing Software customers understand the benefits of using software specific to agriculture in managing their farm, rather than using a basic program. Because of their wide-appeal, basic, mass-marketed accounting systems get a lot of press and have a massive number of users. These products are top-of-mind for many people in search of accounting software. Many people ask us to compare CenterPoint against those products. Red Wing Software's farm accounting software, CenterPoint Accounting for Agriculture, includes the basics you need such as writing checks, entering payables and receivables, and managing your general ledger. CenterPoint offers specific features for farms to help see their true potential. Here are some of the main differences between CenterPoint Accounting for Agriculture and basic accounting programs. To summarize the reason: many CenterPoint users come from basic programs and are seeking specific features that can help them manage their farm better. One person might start out running the whole accounting system, but eventually tasks will be divided up. At that point, you will likely want to limit what employees can do and see in the accounting system, based on their job. CenterPoint has menu level security, so users can see only the screens they are given access to within the system. Not all programs are created equal. Any accounting system has its positive and negative points. Just because something is used and known by the masses does not mean it’s the best product available. Basic programs do a great job for many farms, for many years. But when your farm starts to outgrow its accounting software feature set, it might just be time to contact Red Wing Software. 800-732-9464, info@redwingsoftware.com. Why CenterPoint Accounting Software for Agriculture? Are you looking for something better to handle the financial information for your farm? You might be wondering if you came to the right place. During the search process, you probably noticed that there are many accounting software programs available. It can be hard to decide between them all. Here are some statistics about the people who choose Red Wing Software’s CenterPoint Accounting for Agriculture to handle their farm’s financial information. 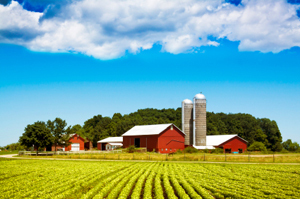 About 55% need agriculture-specific features or accounting features that work well for farms. By far, the number one reason people move to CenterPoint Accounting for Agriculture is that they want to enter and track information specific to how a farm operates. Functions such as production analysis, multiple quantity inventory tracking, and ag-specific ratio analysis (and much more) provide meaningful information, so it is easier to make profitable decisions for your farm. 27% are outgrowing their basic accounting software. Those who began by using a basic or “shelf” software program can find that as they grow, it can no longer handle their needs. Perhaps they need to manage more than one entity, or the number of transactions has become too large for their current system. In these situations and many more, CenterPoint is a great program to look at. It can handle the multiple entities, and there is no hard limit to the data that can be entered and stored. 18% are new farms. Farms and agricultural operations just starting up can definitely benefit from the accounting and financial tools offered in CenterPoint Accounting for Agriculture. Why not start with a program you know can grow as your operation grows, and can give you the information you need, in the way you need to see it. Staying on top of financial trends and knowing your profitability from the start can really help you grow! Make the right decision for your farm. Red Wing Software and CenterPoint Accounting for Agriculture have helped thousands of farm accounting software users manage their financial information. Contact us today to see how we can help you by calling 800-732-9464 or e-mailing info@redwingsoftware.com.